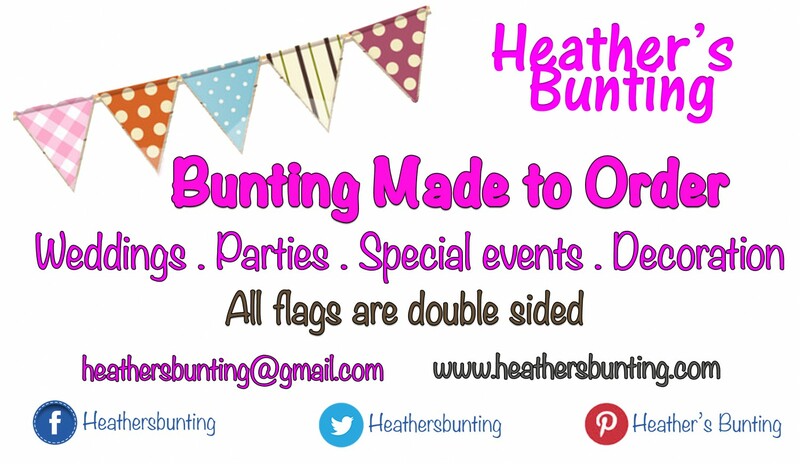 I make bunting to order for any occasion! It could be for a wedding, birthday, new baby, garden party or just for decoration and fun! All flags are double sided and fully stitched, as well as the option of having it personalised. 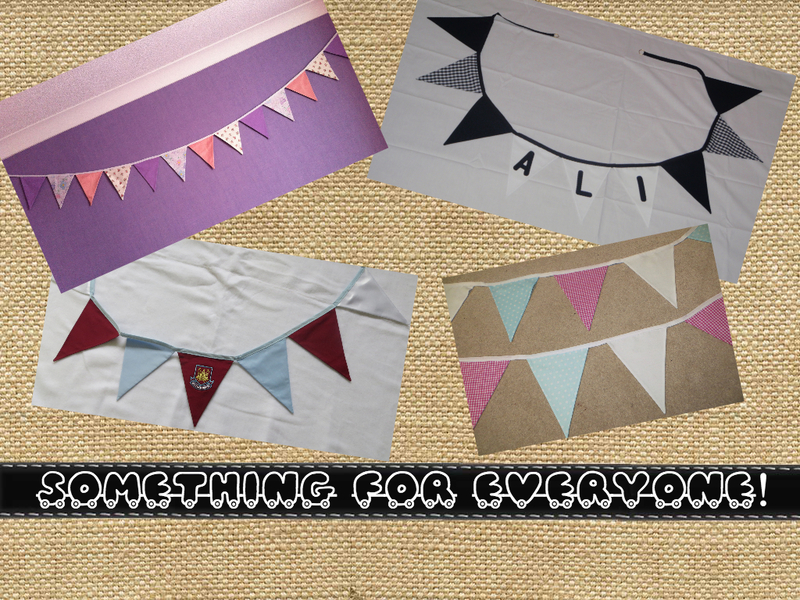 … in the Spring of 2012, I started to help with creating bunting for a friend’s wedding. This then inspired me to go on and make over 70m for our own 25th Wedding Anniversary Barn Dance celebrations. In the midst of all this activity, I received another request (35m) for a wedding as well as a named banner, and so as a result of this order, ‘personalised’ bunting was born!! Everything then lay dormant until the following April when our church ran a Talent Scheme to raise funds for work in the community. Out of this ‘HEATHERSBUNTING” emerged and, once the 3 months scheme was over, it has continued to grow!! In that time, I have made numerous banners for different occasions. Most of them have been to fit in with colour schemes and hobbies i.e. football and model railways and there have been numerous new born babies that have received them as gifts!! Not to mention parties and weddings!! If you are interested, please contact me and we can discuss your requirements further.